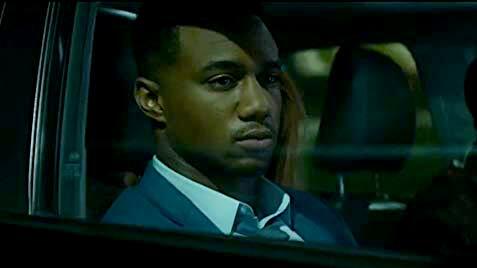 Written and directed by Jeremy Ungar, Ride (2018) takes place on one harrowing night in the life of a Los Angeles ride share driver. A close cousin of Taxi Driver (1976), Ungar has a strong literary bent that gives depth to his well executed thriller. 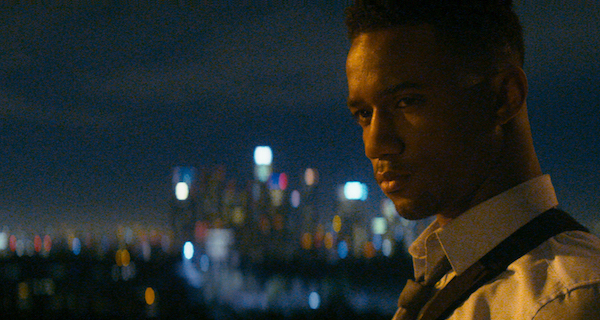 James (Jessie T. Usher) works part-time driving for Ride, a ride share platform. He’s an actor by day and scored a part in a Marvel TV show but still hustles. A good-looking guy, he charms one of his fares. But, he’s not a ride share Romeo and keeps a respectful distance from the lovely Jessica (Bella Thorne). Is he that nice a guy of is it part of his act? When she arrives at her destination and disappears into a nightclub, it looks like we won’t find out. He continues on his way on the famed Sunset Boulevard across the city, passing by the landmarks beloved by tourists and locals alike. James picks up a talkative fare named Bruno (Will Brill) who doesn’t have a particular destination. James wants to get back to the club where he dropped off Jessica who said her goodbyes with an open invitation to meet later. Bruno keeps up a line of patter and bribes him to keep driving. 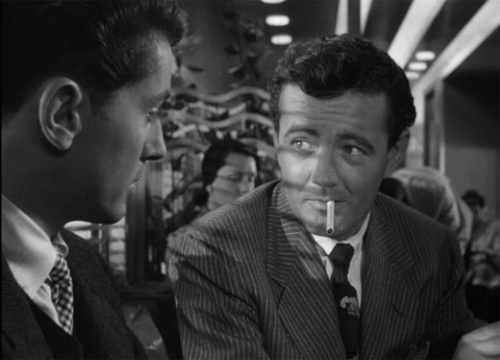 At the Q&A, Ungar said the name Bruno came from Robert Walker’s character in Strangers on a Train (1951), the Alfred Hitchcock classic where two strangers plot the perfect crime. Walker’s Bruno is domineering, controlling and convinces his wealthy mark, Guy (Farley Granger), to go along with his scheme. Ride‘s Bruno is also insidious, getting inside James’s head with fawning compliments and pointed questions. He pays the trapped driver to recite a soliloquy from Henry IV. James tries to resist the seduction but lets on he’s looking to reconnect with Jessica. Bruno seizes on this and insists that James head back to the club. With the trio together, the dynamic is more Othello than Henry IV. Bruno is an Iago-like figure, manipulative and murderous. He goads James relentlessly, calling him “bro” with an ugly, racist edge in his voice. Their “friendship” turns deadly. Set to a tantalizing soundtrack by Paul Haslinger [Miracle Mile (1988)] and filmed by Rob Givens [The Hero (2017)], what begins as a pleasant travelogue becomes increasingly unsettling and a ride you won’t soon forget. This entry was posted in Events, Movies and tagged 2018 Los Angeles Film Festival, Bella Thorne, Jeremy Ungar, Jessie T. Usher, Paul Haslinger, Ride, Rob Givens, Will Brill by crimsonkay. Bookmark the permalink.